Hi, My name is Marlon and I would like to know if it is normal for my German Shepherd puppy to sleep a lot? He is 2 months old. Everything seems to be right with him just the fact that he's always looking for the opportunity to sleep. Thanks for your response. 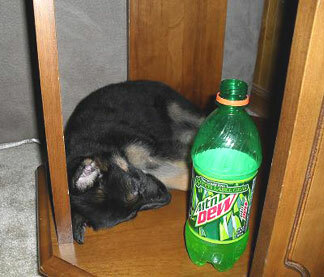 Total German Shepherd: Assuming your puppy has no health issues otherwise, yes, it is normal for a puppy of any kind to be sleeping a lot at that age, so don't worry. Your German Shepherd puppy is still a very young baby at this age. And like a human baby or any other kind they sleep a lot while very young but this will decrease over time - so enjoy it while you can! To the writer with the 2 month old who sleeps all the time. My GSD male has two speeds right now; 100 miles per hour or asleep. He is 23 weeks old and still considered a pup. If your dog is healthy via a Vet, I'd guess he is fine.